» California: Welcome Home PFC Matthew Grubb Warriors' Watch Riders: WE HAVE YOUR BACKS AT HOME! It was a beautiful Saturday morning. We staged at the Harley dealership near Oakland Airport. We headed over to the airport at around 11:30 AM where we met PFC Grubb’s mom, Helene and some family members. 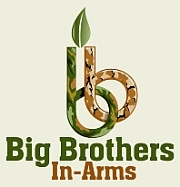 While Matthew was in Afgthanastan, he was on a mission and in an MRAP that was hit by an IED. Matt was knocked unconscious but his entire crew and himself survived. This made the Welcome Home that much more special and that we bring him some good spirits. 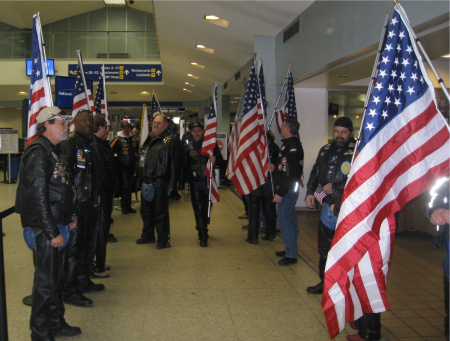 As we waited on his flight to arrive, we set-up our flag line and signs of Welcome Home, etc. Matt came walking down with his girlfriend. He received a great big hug from his mom and dad & then it was our turn to mug him. As a norm, we walked down to baggage claim and took a group shot. That’s when we found out Matt had just proposed to his girlfriend. So, we headed out to our second staging area where the family would meet us for the ride home. We were 20 bikes strong, the sun was shining and nice weather. 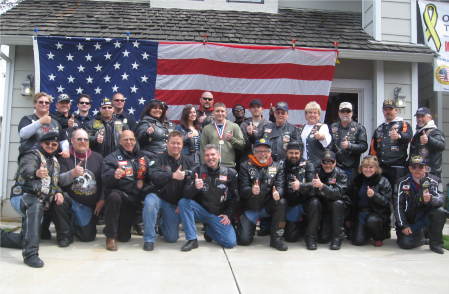 Once we arrived at the house, we were greeted by the Pleasanton F.D., Pleasanton Military Families, VFW, American Legion, Ray and Jeanette & the Vette and Bryan Welden of Lafayette Flag Brigade, and roughly 50 people from the community. Shortly after this Welcome Home, Matthew’s dad wrote a song about Welcome Homes for Vietnam Vets and our Service Members today, with the WWR included. This Welcome Home we did for Matthew totally touched his dad, as well as Matt and his family. Welcome Home li’l brother and thank you Gary Grubb for the beautiful song you wrote and sang! A special thanks to ALR District 10 “SloopDawg”, And Commander Ron from the Combat Vets association. No user commented in " California: Welcome Home PFC Matthew Grubb "